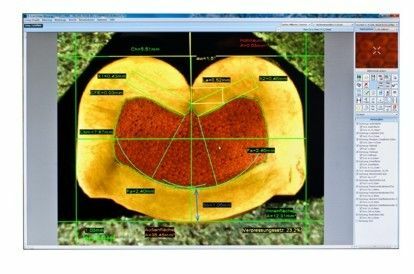 X-scan is the most advance Crimp Analysis software in the market. It has advanced automatic tracing and measurement functions which means fast reports. Additionally its has many database features for organizing cross section pictures and reports. It has a Master crimp function to easily compare today's cross section picture with a stored master image. X-Scan is being improved to include ultrasonic weld samples, indenter crimps, overlap crimps, etc.